Leader Kevin Drew said this week in a SiriusXMU interview: “It’s been 17 years together as a band, and you just pick up where you left off. It’s always been that way. We’ve been working on this album on and off for the last year, and we thought that, since we’re an anthemic band, we wanted to bring the celebration with this first song. We wanted this to be unity, and we wanted this record to be all of us. And that’s what it is. At this time and in the state of the world as it is, the one thing we knew we could do is come back as friends. It was important for all of us to come together because it’s the only thing we can politically do at this moment in time.” Amen! Last night the thirteen-member band (including four horns) took over Colbert’s Late Show studio and performed Halfway Home. 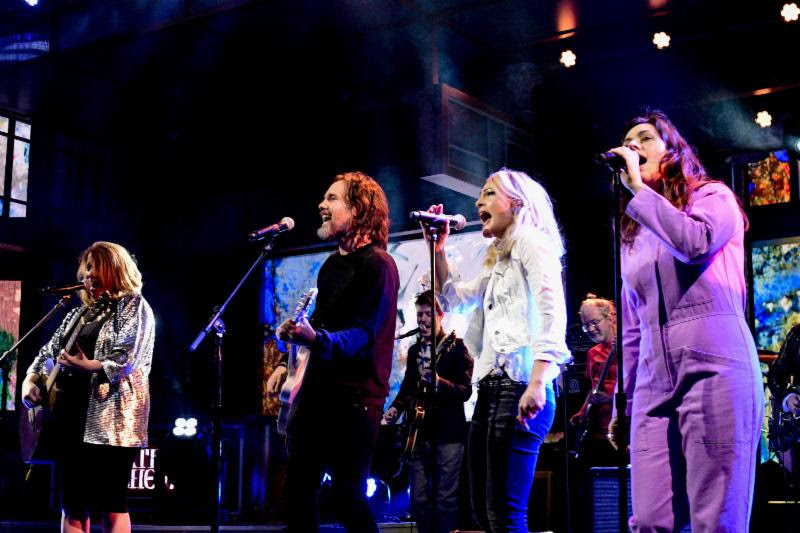 The electrifying performance included band members Kevin Drew, Brendan Canning, Justin Peroff, Andrew Whiteman, Charles Spearin, Sam Goldberg, Ariel Engle (purple jumpsuit), Metric’s Emily Haines (white jacket) and Jimmy Shaw, Stars’ Amy Millan (silver jacket) and Evan Cranley, David French, and Dave Hodge. The only person missing was Leslie Feist, who’s busy readying her own new album for release. Maybe next time. On Colbert, the joyful interplay, first between Engle and Haines, and then between Engle and Millan, interlaced with the vocals and chants of Drew and Haines, is simply infectious. And that chorus! Drew closed out the performance by reminding: “Friendship, ladies and gentlemen, friendship!” Indeed. By all accounts Lefort-faves Broken Social Scene have been toiling diligently on an impending new album, their first since 2010’s Forgiveness Rock Record and after a much-lamented (but seemingly necessary) hiatus. Moments ago the band introduced a new song entitled Halfway Home that will appear on the new album. 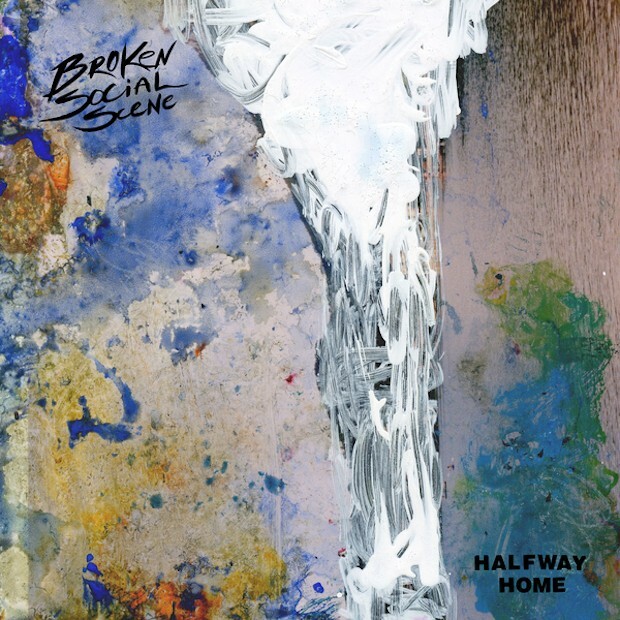 The song is titled Halfway Home and it’s a quintessential BSS anthem featuring original members Feist(?) and Emily Haines(? ), and horns and….wowwwww! This is what we’ve been waiting for! Halfway Home bodes incredibly well for the band’s new album. BSS will also appear on the Colbert Show tonight. Don’t ya miss it. As leader Kevin Drew says at the song’s outset: “Turn it up!” And watch ’em on Colbert tonight. We discovered Hurray for the Riff Raff in 2014 with the release of their superb, much-lauded album Small Town Heroes. 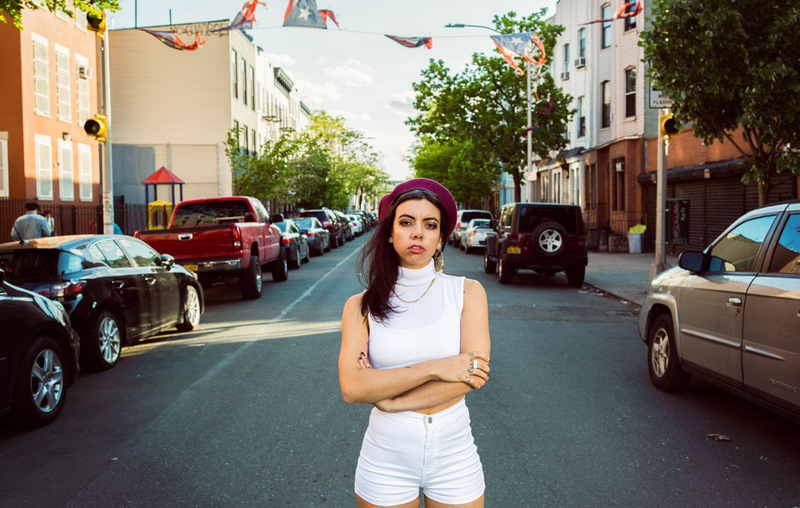 Thankfully the band (led by Puerto Rican-descent New Yorker Alynda Segarra) is back with its critically-acclaimed new album The Navigator on ATO Records. The album was superbly produced by Paul Butler. The songs were evidently “inspired by Segarra’s own journey from the South Bronx to the downtown punk scene and beyond, in search of her identity.” And you can hear that and more in these great new songs. Check out below three songs from the album: the ravishing protest of Rican Beach (deriding the gentrification of the South Bronx and the co-opting of Puerto Rican culture), the lamentable inhospitable life of Living In The City, and the official video for soul-searching track Hungry Ghost. And finally, check out Segarra’s solo performance of Living In The City on The Daily Show and NPR’s capture of the band’s vibrant set at SXSW. The band is currently touring in Europe in support of the new album and will eventually make their way to the West Coast and California in June. Be there! Check out their tour dates HERE. You can pick up The Navigator HERE. This Friday the brilliant Aimee Mann will release her highly-anticipated new album, Mental Illness, on Mann’s own SuperEgo Records. It’s her first in five years and one of the best in her nine-album history. The album is perfectly produced and filled with memorable melodies and adroit captures of the mental, modern life. Mann has already revealed the heart-rending, socially-anxious Goose Snow Cone and the masterful keeping-up-with-the-Goldwyns Patient Zero from the album. Last night Mann appeared on the Colbert Show and, superbly backed by Colbert’s Jon Batiste and Stay Human band, performed Goose Snow Cone. So backed, and replete with with strings and backing vocals, Mann gave a memorable performance of the affecting song. Check it out below. Watch a fantastic version of the song performed on Prairie Home Companion in May (complete with Chris Thile’s mandolin and lovely harmonica). 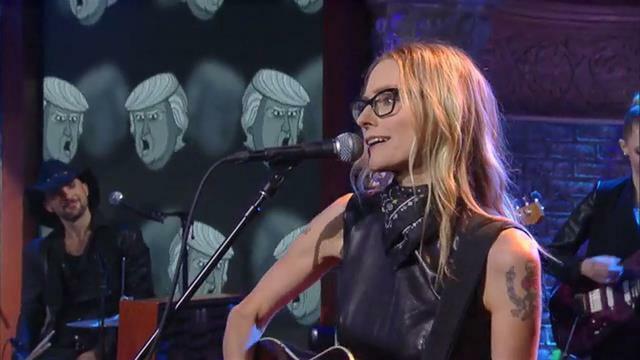 As an added, web-exclusive Mann was invited back to sing the melodious, malodorous Can’t You Tell?, the song she contributed to an anti-Trump project called 30 Days, 30 Songs. About the song, Mann has said: “I wanted to write about Trump in the first person because I think it’s more interesting to speculate on what people’s inner life might be. I had heard a theory that Trump’s interest in running for President was really kicked off at the 2011 White House Correspondent’s dinner when President Obama basically roasted him, so that’s where I started. And my own feeling was that it wasn’t really the job itself he wanted, but the thrill of running and winning, and that maybe it had all gotten out of hand and was a runaway train that he couldn’t stop.” Watch the stellar web-exclusive performance HERE. After the Colbert performances, go below to stream Mental Illness until Friday via NPR. And then go HERE to pre-order/buy the album. You won’t be disappointed. We are just over a week into our Mondo Cozmo infatuation, which shows no signs of ebbing. 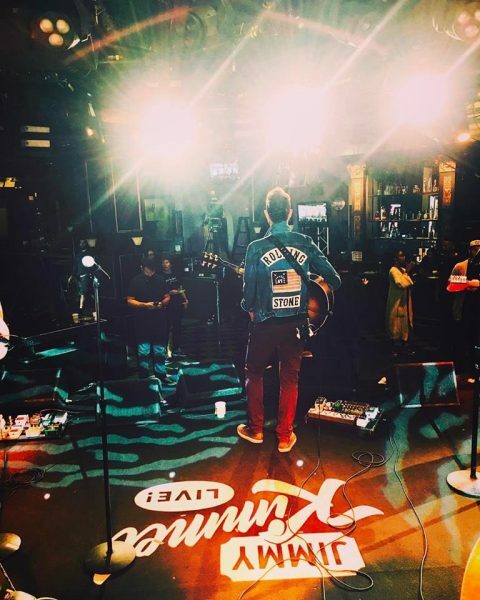 Last night the band appeared on Jimmy Kimmel Live in their national TV debut and fulfilled all of our expectations for this skyrocketing band. Aided well by added horn-players and six backup singers, Mondo Cozmo lit up the stage first on their anthem Shine, followed by an electrifying, raving performance of Higher. 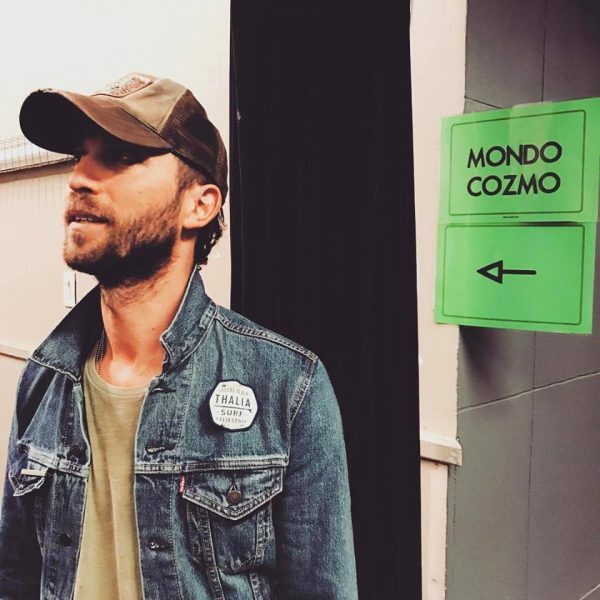 People: it’s Mondo Cozmo time! Check ’em both out below! The band is out on tour now with Bastille and otherwise, and you can see upcoming dates HERE. 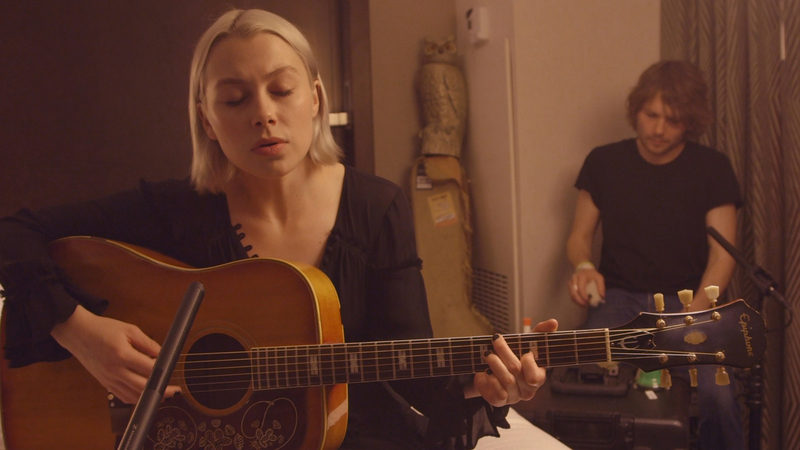 Phoebe Bridgers has been on our minds a year after Bowie died. While a couple other song contenders have reared their heads (e.g., Middle Kids’ Edge of Town and Mondo Cozmo’s Shine and Hold On To Me), our Song Of The Year (So Far) remains Bridgers’ Smoke Signals. While at SXSW last week, NPR captured Bridgers in her favored Holiday Inn (or some such hotel), avoiding making the bed and performing Smoke Signals. Watch below as percussionist Marshall Vore adds percussive effects and affecting harmonies to Bridgers’ poignant sending of the song. Here’s hoping Smoke Signals is the impressive beginning to a long, illustrious career for Ms. Bridgers. 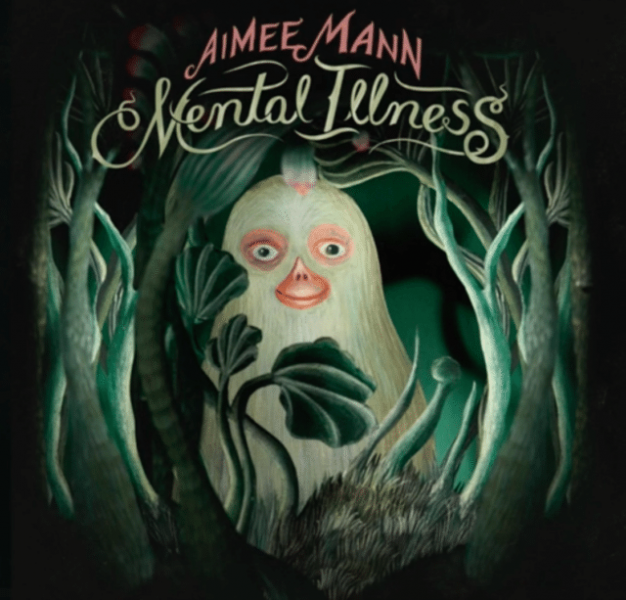 Long-time Lefort-fave Aimee Mann is back with a new, critically-acclaimed album entitled Mental Illness. As usual with this artist, the album (Mann’s ninth) features superb songwriting, arrangements and performances that frame well Mann’s signature vocals. The sound is a bit more restrained on the new album than on some of her recordings, but sweetly so and embellished by soul-stirring strings, which match well the album’s somber themes (whether, as suggested by some, Mann is merely playing into people’s perceptions of her as melancholic and putting us on a bit–she’s actually oft-hilarious as you can read from her Twitter tweets–or baring all, we leave to you dear discerners). We completely concur. Oh, and the song is more melodic and moving magic from Mann (lyrics at bottom). To get more feel for Mental Illness (the album) check out the previously released video for the similarly magical Patient Zero, which you can watch following today’s video. Mann is also out on tour in support of the album (see dates below the videos). You can pre-order Mental Illness in all formats along with various accoutrements HERE. The album will be officially released on March 31st. 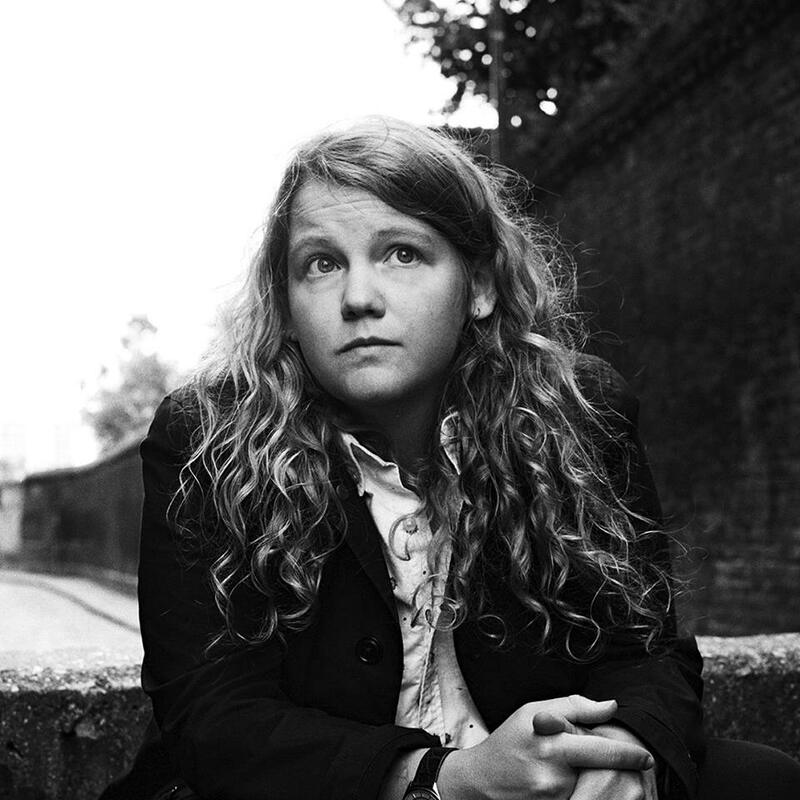 We first caught wind of talented English rap-poet Kate Tempest in early 2015. Since then this brilliant, frenetic teapot (apologies) has continued to throw-down, and is finally getting the recognition she deserves on this side of the pond (in addition to home). Check out below her recent American TV debut on The Tonight Show. Tempest’s a riveting tour de force not for the weak-of-heart. She means to get into your head and fire some synapses, and for you to aerial some (brain) waves. And to think. And to act. Different. Check out below her raving performance of her piece Europe is Lost (poetry in full, at bottom) off of last year’s phenomenal album Let Them Eat Chaos. We love the clacking backing band and the 1:56 break when Tempest goes off (on her own) and exhorts until 3:59 when the band renews and she finishes indomitably. A powerful message (the trappings of our conflicted, consumer society and our gracelessness towards “others”/immigrants) and performance from the gallant Tempest. Tempest‘s North American tour started this week (you can catch her tonight at the Constellation Room in Santa Ana or tomorrow night at Slim’s in SF). Check out the dates below the video and get ye there. There’s a new, young (but wise beyond his years) force in R&B. 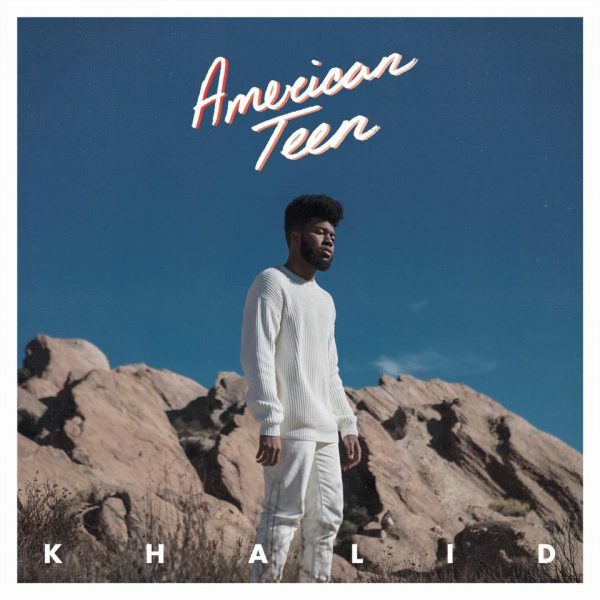 Khalid is a 19-year-old Texan (by way of Germany) whose new album American Teen is cracking the charts open and garnering critical raves. To get a feel for the soulful, sagacious force that is Khalid, check out his recent performance of single Location on The Tonight Show as graciously backed by The Roots. Afterwards check out other phenomenal snippets from the singer (including Location’s official video, the powerful Saved, the slinky skate shots in the Shot Down video and the album’s stellar title track). Khalid’s songs are filled with hooks and ladders tailing off to higher places. Step right up. The artist and his songs are infectious. American Teen is out now on Right Hand/RCA. It’s been entirely too long. 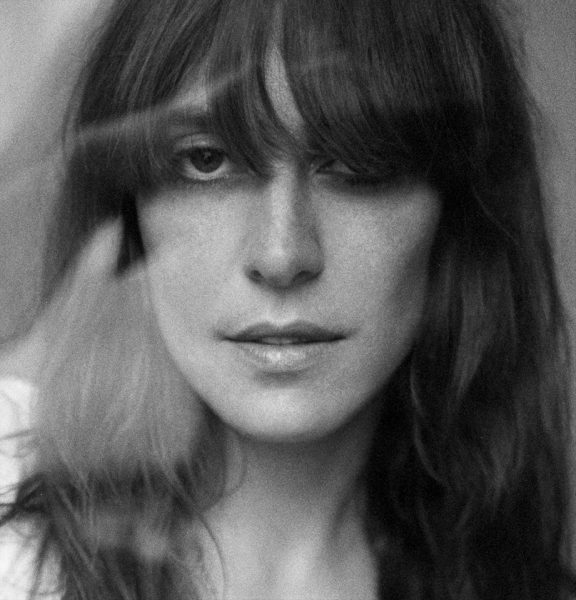 Leslie Feist lights up the darker corners of this world with her music, and (have you noticed?) there has recently been a dire dimming. Thankfully that is about to change. Late today Feist revealed the title track from her imminent album Pleasure (due April 28th). Check the beguiling new track below (lyrics at bottom). The new song is a tour de force, with a minimalist approach (initially) that heightens the song’s tensions and release as it builds and builds. Classic Feist. Our pleasure to have her back.